Bold, loud, and proud—Matt Locke (along with Producer Ron) cranks his conservative message up to 11...AND THEN HE BREAKS OFF THE KNOB! 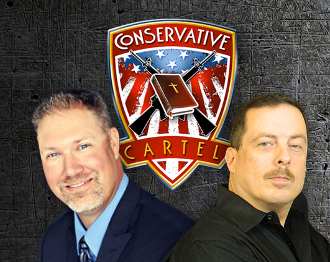 Less government and more freedom—that’s what you will hear every day at 11am on the Conservative Cartel, found exclusively on Mojo 5-0. The Cartel BOLD is a strong, dark roast Sumatra with a blend of highly caffeinated beans from Vietnam and rich Mexican beans. It’s a harmonious blend of strong idealistic coffee flavors that pair perfectly with the Conservative Cartel!